NBC has picked up The Blacklist for a full season of 22 episodes. The TV series revolves around a high-profile fugitive, Red Reddington (James Spader), who mysteriously surrenders to the FBI. He agrees to help catch a “blacklist” of criminals but only if he’s partnered with FBI Special Agent Elizabeth Keen (Megan Boone). The rest of the cast includes Harry Lennix, Diego Klattenhoff, Ryan Eggold, and Ilfenesh Hadera. Airing on Monday nights in the post-Voice timeslot, The Blacklist has been averaging a 3.6 rating in the demo with 11.97 million total viewers. It’s the highest-rated scripted series on the network by far so the full seaosn pick up comes as no surprise. What do you think? Are you glad to hear that NBC has ordered more of The Blacklist? Do you think the ratings will hold up throughout the season — or will they fall like Revolution’s did last season? It’s a great movie deserves an award , repitedly have watched it and every time it’s like I just begun it it’s a one among all movies have ever watch . One of my all time favorite shows SO VERY GLAD IT IS HERE TO STAY. Best of the best. I love the show, So I am so happy that will be a full season with 22 episodes!! !, Great show, Great casting and great argument. 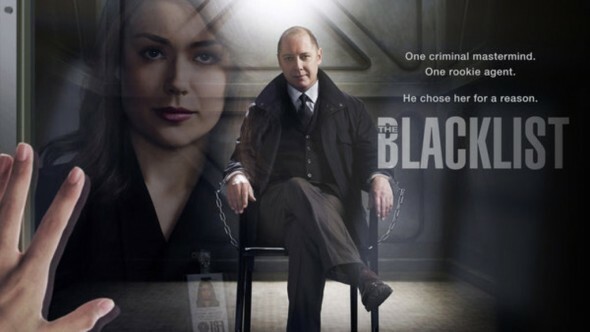 Terrific show, and I don’t even watch the voice, so that is not how I started watching blacklist. So happy the show was picked up for the full season. Love James Spader – he’s the only reason why I tried the show out. And he’s awesome in this show! Plus so far I’m enjoying the story…. I think Blacklist would have been a ratings winner regardless of where it was slotted. It’s the best network show of the Fall quality-wise. Spader is a God. Well, I’m sure they’re hoping that people will like the shows enough without the huge lead-in. I think Blacklist has more broad appeal than Revolution so it has a better chance of surviving without The Voice. Chicago Fire was doing pretty well on its own last season so hopefully new post-Voice viewers will stick with it. I think NBC is being pretty smart about how they’re using The Voice. If a show can’t survive after being given a whole season with a monster hit as a lead-in, does it really deserve to be on the schedule?